Economic development considers the welfare of a country’s citizens, whilst economic growth just looks at increasing GDP. When considering welfare, it is clear that some countries are better off than others. Some countries’ people enjoy good health care, clean water and cheap luxury goods. Other countries experience high pollution, low life expectancies and a lack of job opportunities. We therefore split countries into two distinct catagories: ‘Developed’ (which indicates high levels of welfare) and ‘Developing’ (which indicates low levels of welfare). Climate: extremes in climate make agriculture and more difficult, leading to lower populations. Humidity, heat and extreme cold are also not ideal for most industrial processes. 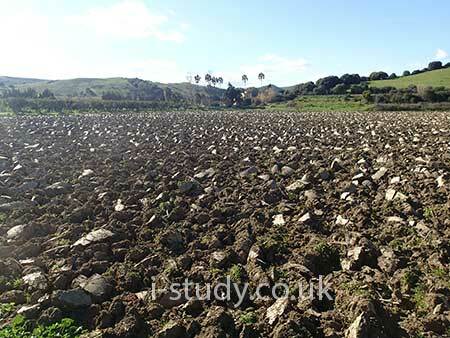 Fertile soils: these were needed to support growing populations. Natural Disasters: areas prone to volcanoes, earthquakes and hurricanes have often been devastated in the past and had to rebuild their economies. 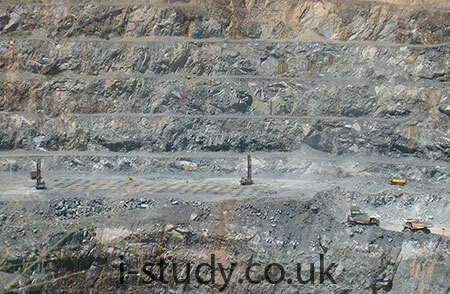 Political instability: this creates uncertainty in the future of the country and puts foreign firms off investing. Slave trade: many African countries lost the majority of their most able workers. 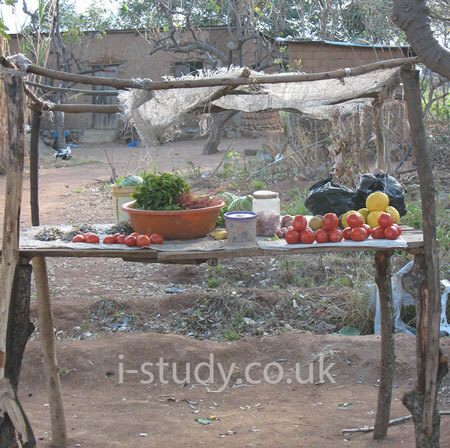 These are often used to measure development but they have some serious limitations. They give an average for the country and don´t highlight significant inequalities. They don´t give any clear indication about the actual welfare for residents (their standard of living). These are a few of the social indicators that are often used to give an indication of the standard of living in a country. Taken on their own they again give a limited indication of development in country. Income Index: GNI per capita PPP. It is generally regarded as giving a better indication of development but still has some limitations. Statistics are often hard to come by and many other important considerations are omitted (such as impact on the environment). To be in relative poverty, this would mean that we are poor compared to the average person in our country. For example, if you live in Denmark but cannot afford a fridge, you are relatively poor. This is more prevalent in developed countries. This refers to the inability to provide for your own survival – usually this is when we earn less than $2 a day. The world is experiencing a population explosion driven primarily by relatively high birth rates in developing countries coupled with falling death rates. The fastest growing populations are all in developing countries, while some MEDCs are facing population decline. Natural Increase: when the birth rate is higher than the death rate. Net Migration Gain: when the number of migrants into a country exceeds the number leaving a country. The reverse of these would result in population decline (natural decrease and net migration loss). 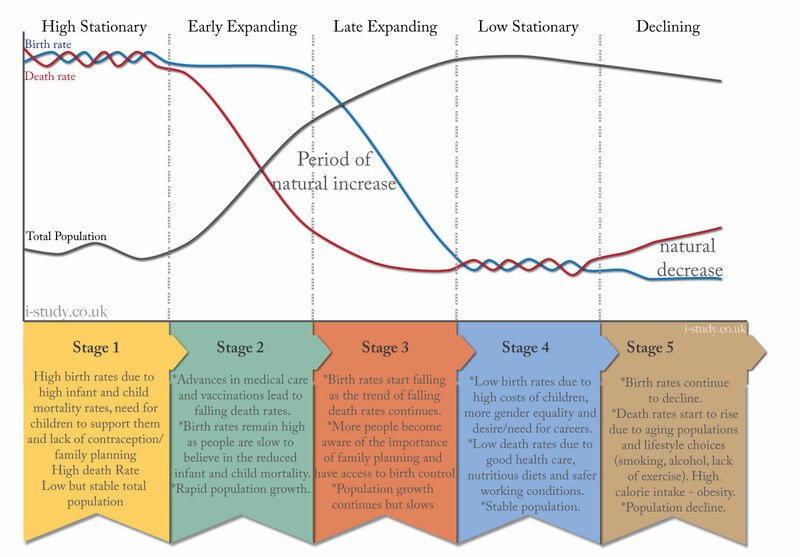 Study Figure 1.5 (below) which shows the typical population growth pattern that most countries follow (at different rates). 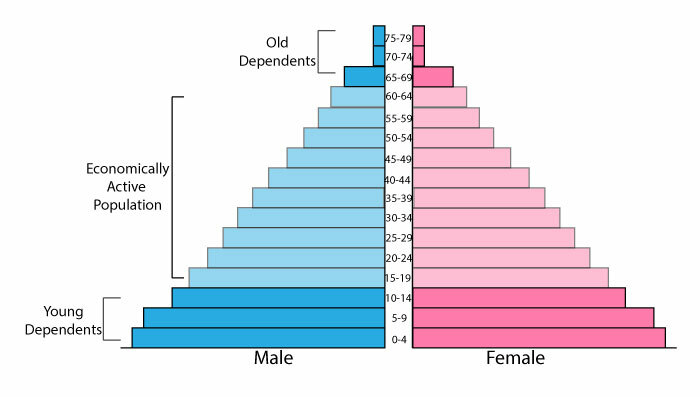 These population pyramids typically have wide bases due to high birth rates. A classic pyramid shape with sloping sides due to a high death rate at all ages. They are short due to relatively low life expectancy. These countries have a decline in the population age groups that are economically active. The working poulation have to suppport a large young dependent population through taxes and domestically. 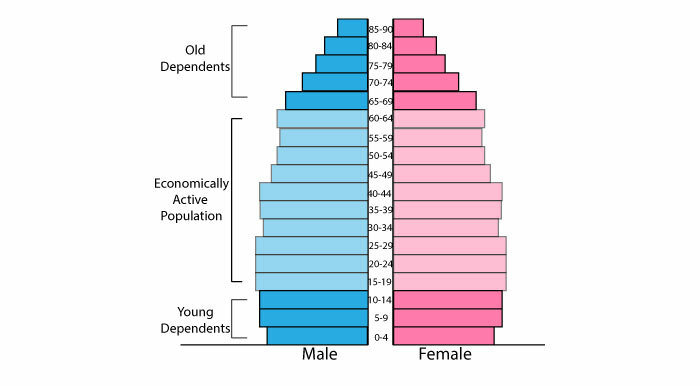 These population pyramids tend to be narrow at the base (low birth rate) and remain a similar shape up to the ages of 65+ due to a low death rate through these ages. The pyramid is often tall due to long life expectancy. They have a large proportion of the population in the economicaly active age groups - these are part of the labour force and pay taxes. They support the dependent populations. Many developed countries are now facing increasing proportions of elderly people that the tax payers need to support.